We all know businesses are out to make a profit, either for the owner or for their shareholders. And I think we would agree that, for the sake of our financial markets and the economy at-large, this is a good thing. So for years, I’ve advocated for replacing the terms “Nonprofit” and “Not-for-profit” with “Social Benefit Organization” for several reasons. Ballets, rare disease researchers, animal rights activists, do-gooders, world-changers… we need them all. They solve issues governments and corporations may not want or have the resources to solve. Labeling a company “nonprofit” implies inefficiencies in their model. That’s unfair to the multitude of organizations that effectively leverage volunteers, employ innovative revenue-generating activities, and practice strong governance. 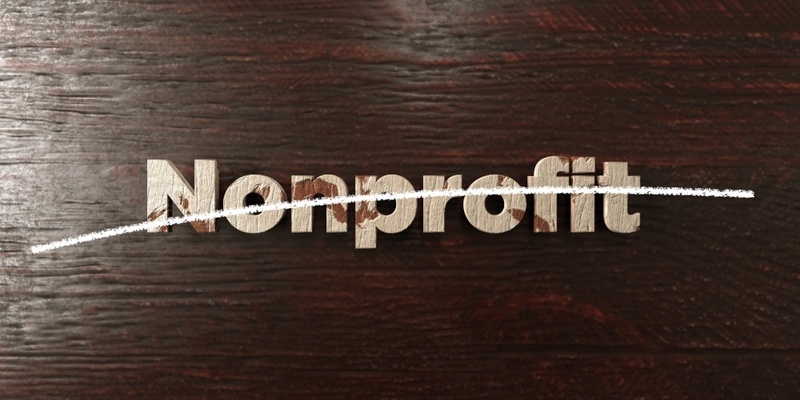 Labeling a company “nonprofit” implies inefficiencies in their model. Nonprofits exist to deliver social services. Why not define them by what they do for the world? Let some nonprofits turn a profit; let some depend entirely on public support; let some live off of a huge endowment; let others be hybrids. A simple terminology change can have a profound effect on perceptions. George Carlin once remarked that the term “Shell Shock” was softened-out over the decades into “Post-Traumatic Stress Disorder.” He argued that the modern term marginalizes the severe impact “Shell Shock” has on our soldiers. I’m proposing the reverse effect. Social Benefit Organization (SBO) encapsulates the entire sector better while leaving intact the underlying mechanisms in which organizations uniquely pursue their mission.